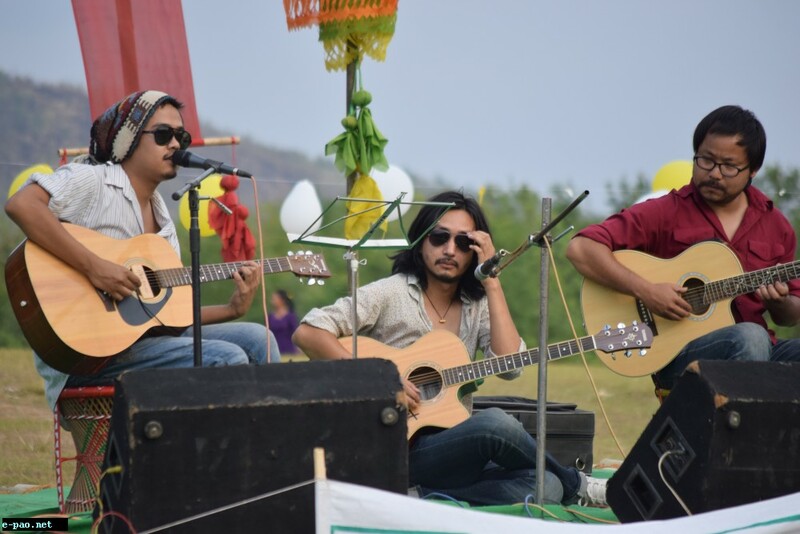 There's nothing unusual to catch Imphal Talkies N The Howlers climbing the stage to howl for environmental protection since this Manipuri folk-rock band has been singing 'protest' songs rather judgmentally than any other when it comes to voicing against odds in the society - be it politics, insurgency, human rights, racial attacks. They recently howled against onslaughts on nature at a musical event called 'Where Have All The Flowers Gone?' held at Lamlai in Imphal. Named after the popular Pete Seeger song of the same name, the title of the carnival as well as the venue chosen on a picturesque knoll at South Loushing Hillock near Chingnungkok Village perfectly portrayed what the execution endeavoured to convey for the cause. Many wonder why Imphal Talkies N The Howlers with their co-organiser Anggu and The Musos oddly chose the open venue, which is totally truncated from Imphal's cityscape. Simple reason – they wanted to draw general public's attention to the constant onslaughts on the natural rural setup of South Loushing Hillock carried out by picnickers, film crews and many others. Having been one of the most sought after picturesque porches in Manipur where people from far and near corners often drop in to enjoy the serenity around, South Loushing Hills is now losing its charm at the hands of some people who litter the knoll with empty bottles, treat wrappers, leftover foods which Imphal Talkies N The Howlers cleaned them up to stage 'Where Have All The Flowers Gone?' in form of a protest. Present alongside Imphal Talkies N The Howlers at the event was a league of super-efficient crooners comprising Rewben Mashangva, a big name known for his gripping Tangkhul folk-blues; Susmit Bose, whose songs revolve around social issues, human rights, non-violence and global peace; Sori Senjam, one of the iconic pop sensations in Manipur singing and writing songs on varieties including social issues; Anggu and The Musos, a promising acoustic guitar act in the state; and The Koi, an alt-rock group recognised for giving a new dawn to psychedelic and experimental sound. The event uniquely marked a commemoration of Pete Seeger on his 95th birth anniversary through activities that wholesomely signified the survival rights of South Loushing Hillock. Rendering the song Where Have All The Flowers Gone? Susmit Bose, who had been friend of Pete for years, said the legendary American folk singer and environmental activist would have shed tear on seeing such a noble initiative of Imphal Talkies N The Howlers towards the protection of environment. Executed on a similar theme on the sidelines of the music festival were some allied activities, such as art fair, painting competition and photo exhibition by Wild Animal and Habitat Protection Society (WAHPS). First-of-its-kind initiative taken up by musicians in the state, 'Where Have All The Flowers Gone?' delivered a multifaceted message to everyone gathering at the festival. Through the inspiring music and art sessions, the festival also paved the way how 'community bonding' could help general public in carrying social services forward to larger extent. Akhu Chingangbam, singer-songwriter of Imphal Talkies N The Howlers, asserted that a kind-hearted Tangkhul widow from a village called Happy Land near South Loushing Hillock helped them collect all the bamboos that constructed the concert stage measuring more than 300 sq ft. Ever since the release of their debut album Tiddim Road in 2009, Imphal Talkies N The Howlers have been quite vocal about social and political issues. Their songs are always tuned to different situational and remonstrative ways. 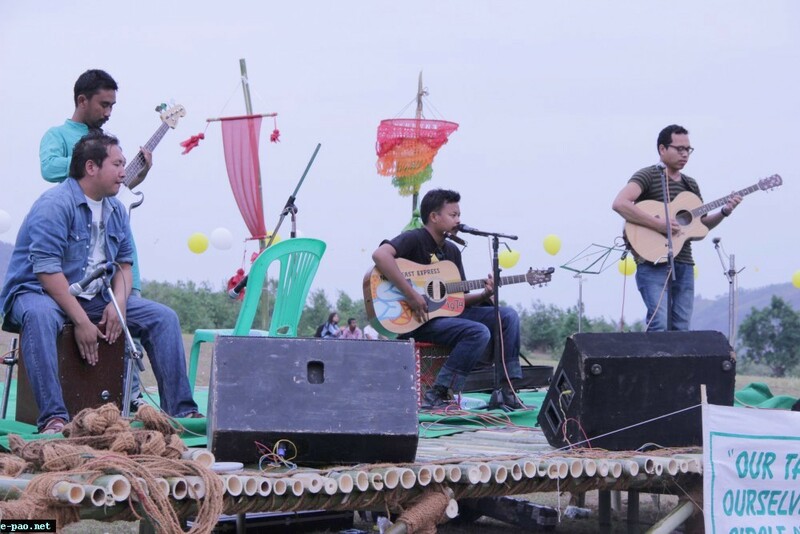 Lullaby, their internationally acclaimed single released in late 2013, is a dedication to the children of Manipur who are facing certain tyranny directly or indirectly in their day-to-day survival in the conflict zone. Doubtless to say that most of the songs of Imphal Talkies N The Howlers are directly drawn from real life experiences. This article was posted on June 06, 2014.